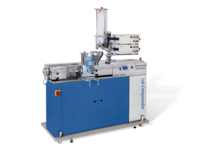 The counter-rotating conical twin screw extruder is ideally suited for quality control, product development and research applications. 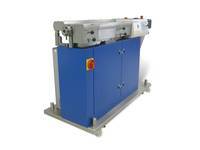 The Stand-alone Extruder TSE 20/40 is part of a new generation of compounding systems that will offer a high degree of operating reliability for the compounding of various polymers. 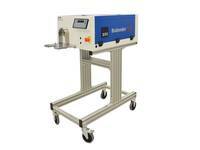 Combine several processing steps within a continuously working extruder and use your C.W. 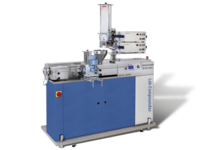 Brabender twin screw extruder as a modern in-line compounder. 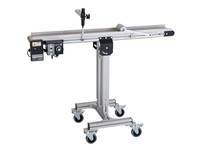 The Intelli-Torque Plasti-Corder Torque Rheometer is suited for mixers and extruders including a temperature control. 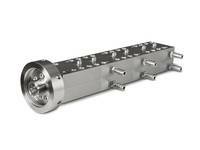 Brabender Modular Cooling Die: The modular die system for texturising plant proteins on a lab-scale. ✔ comprenhesive analyses ✔ tailor made. 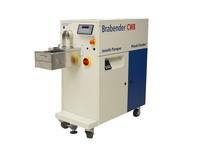 The Brabender ATR Plasti-Corder is the economical table-top version of the universal torque rheometer Intelli-Torque Plasti-Corder applied unilaterally across applications in laboratories and simulation.